We understand as an event planner; finding the perfect location with all the amenities can be a challenge. However, at The Renton Pavilion we have it all. Rain City Catering provides outstanding food options and the Events Center offers a one stop shop for the ceremony and reception with free parking. Check out this Seattle Area Event Center that will take good care of your clients. Contact our wedding professionals today to book your event date. Choose from a la carte menus or select a wedding package for your special day. 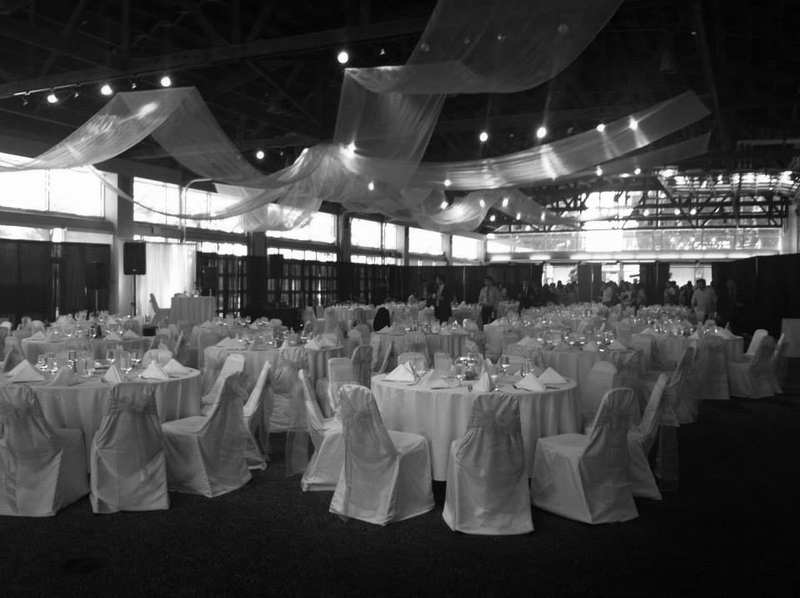 Renton Pavilion event planners will guide you in making the right choices to fit your tastes and your budget. The wedding menu offers a selection of artistically presented dishes prepared with fresh ingredients. Many Rain City Catering menu items offer a new twist on enduring favorites. Our representatives will work with you to customize your wedding menu so you are assured that your wishes will be honored. Two cost conscious wedding packages offer a choice of appetizers such as petit grilled salmon filets and puff pastry triangles with spinach and Parmesan cheese. Entrée choices include a slow roasted prime rib with a caramelized onion demi-glace, oven roasted pork loin and prosciutto wrapped chicken breast. All selections include grilled seasonal vegetables, a side dish such as risotto or angel hair pasta, salad and fresh sliced baguettes. Our floorplans offer a variety of wedding sizes as well as fitting the reception and ceremony in one easy location. Here is a sample of a 200 person wedding floorplan. The a la carte menu features an array of appealing appetizers priced by the dozen, including roasted vegetable strudel and southwestern grilled chicken skewers. The roasted beef tenderloin entrée is served au jus, the garlic herb chicken breast is stuffed with smoked Provolone and the vegetarian lasagna features sautéed spinach, mushrooms and roasted peppers. Sided dishes include pastas, veggies and salads. Finish the meal with wonderful desserts like chocolate caramel tarts and cheesecake squares.